VALENTINO ROSSI is the most iconic star in MotoGP racing - and he's got a healthy bank balance to go with his superstar status. Rossi is a nine-time world champion and king of the motor racing track, riding for Yamaha. The 38-year-old is one of the world's most talented sportspeople - and the richest. 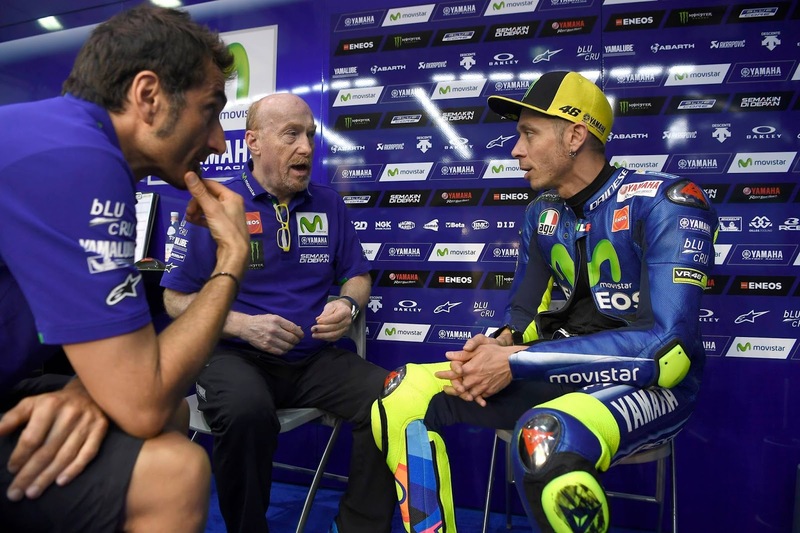 Rossi is the joint best paid rider in MotoGP. He pockets $10m (£7.3m) a year from Yamaha. Marc Marquez, of Repsol Honda, is on the same wage, with Jorge Lorenzo next up at around $7m (£5.1m). But veteran racer Rossi's wealth is vastly larger that his two rivals.His estimated net worth is vastly more than Marquez and Lorenzo at around $135m (£100m). Rossi earns huge amounts for sponsorship deals with Forbes citing the likes of Yamaha, Monster Energy, Oakley and Bridgestone which takes him clear of the rest of the MotoGP field. Marquez's worth is predicted to be $35m (£36m) while Yamaha team-mate Lorenzo is at around $30m (£22m).